Welcome to October, did everyone have a good September? It’s been another busy and fun filled month for us. The month started with a nice day off for Labor Day where we enjoyed a BBQ at our friend’s home. I could get used to 4 day work weeks. 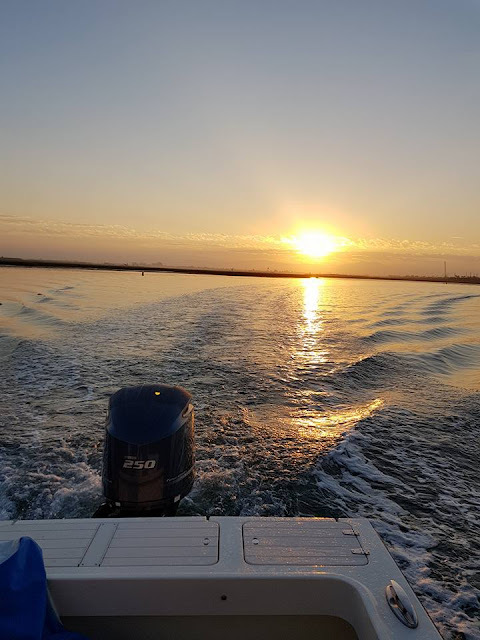 My friend invited me on his boat to go deep-sea fishing. We went to Las Vegas for my annual business conference and stayed at the Venetian hotel. This was a very different trip from the last few times with our son. He is now over 2 years old, and full of nonstop energy. 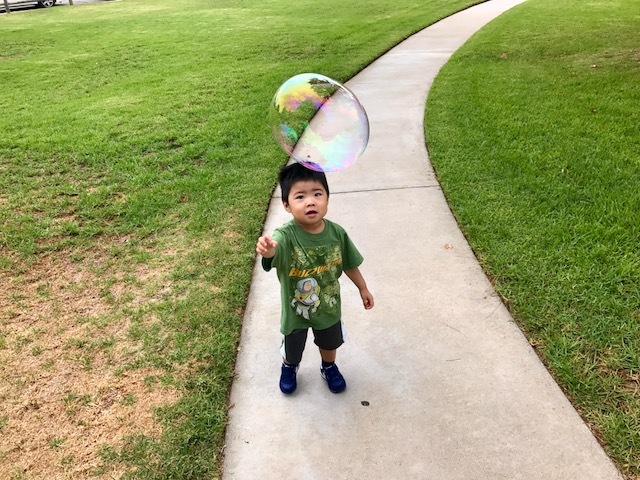 Half of our time was spent chasing our son down. He loved running around the halls of our hotel, probably his favorite part of the trip. 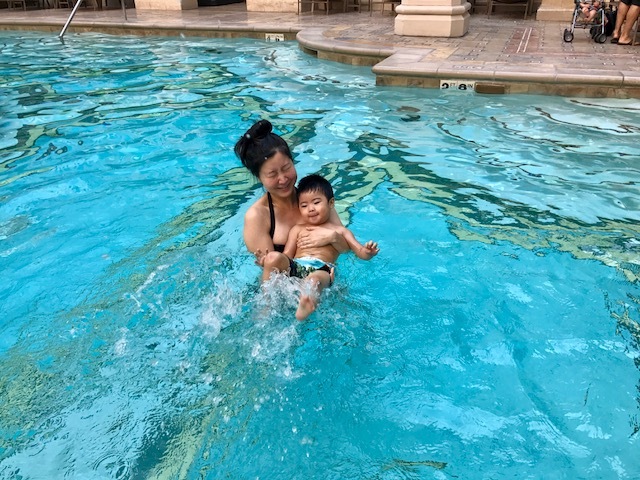 He enjoyed splashing around the swimming pool. To make our lives easier, we got takeout for several of our meals. 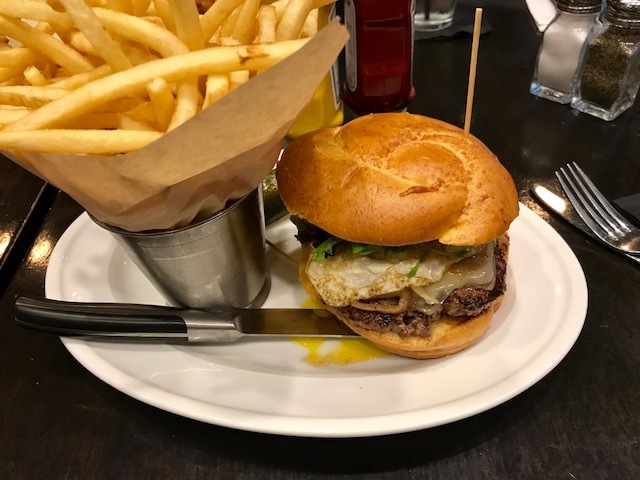 The Grand Lux Café is located very close to the room elevators and it was easy to call in our order and then pick up our food. We still got a chance to go eat at a few of our favorite restaurants in Las Vegas. Every time we visit, we start off our morning with waffles, coffee and smoothies at Tiabi Coffee and Waffle. 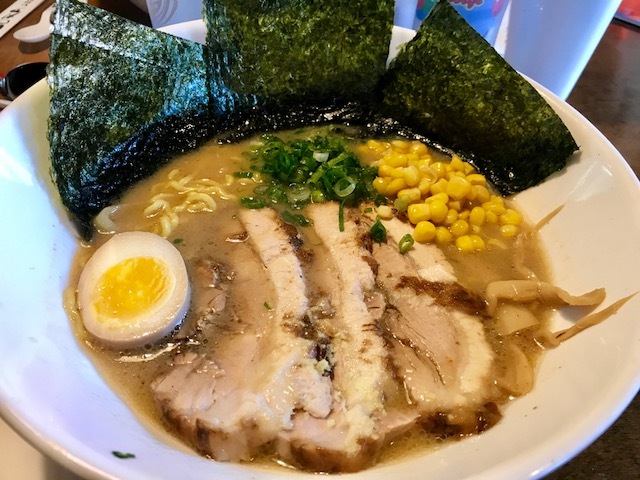 We enjoyed delicious ramen at Monta Ramen and Ramen Sora, two of the most tasty ramen places in Las Vegas. The ramen at these restaurants was almost as good as ramen that we've had in Japan. Our son’s current favorite food is noodles. We enjoyed flavorful burgers at Primeburger. Since we rarely eat out, every meal we had in Las Vegas was such a treat and tasted amazing. 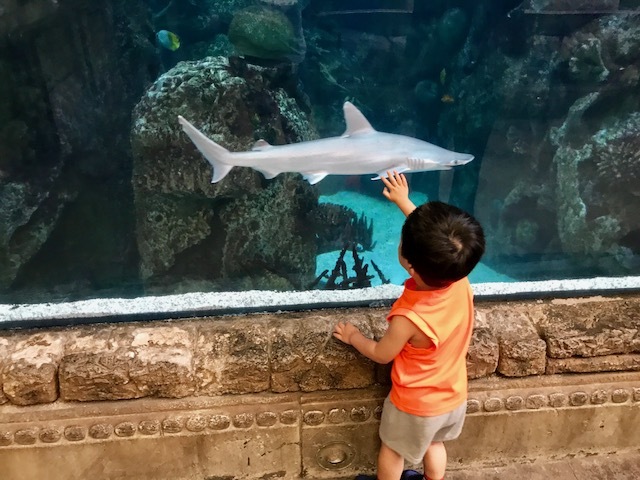 No visit for us to Las Vegas is complete without dropping by the Mandalay Bay Shark Reef Aquarium. 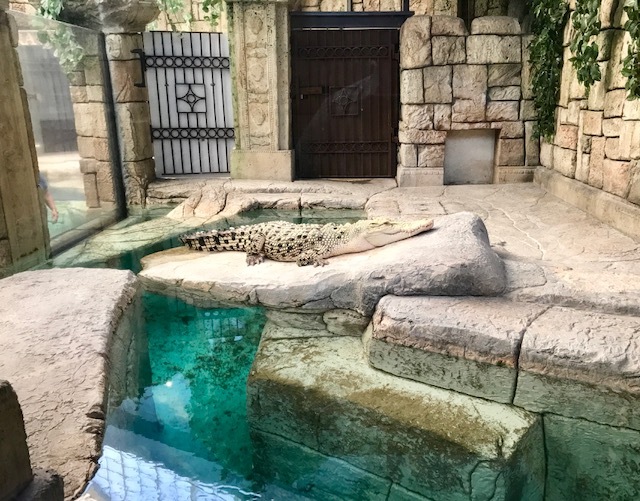 This aquarium is home to over 2,000 animals including sawfish, giant rays, seat turtles, piranhas, and jellyfish. There is even a golden crocodile here. 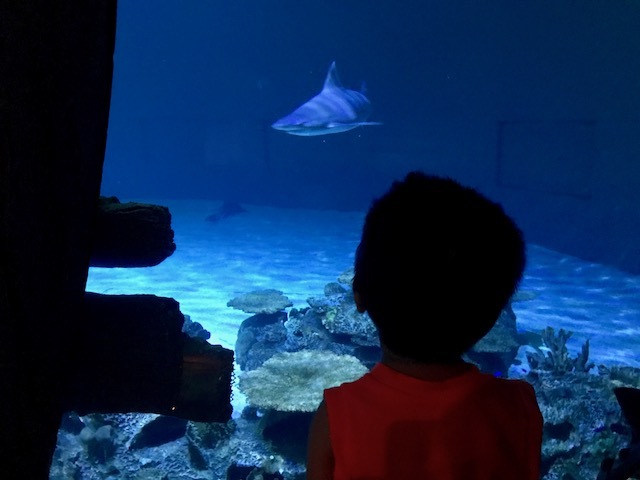 Our son could hardly contain his excitement as he ran from exhibit to exhibit pointing out all the sea creatures he recognized. Thanks to myVegas slots, we were able to get our tickets to the Shark Reef for free! It was great to come back home after spending 3 days in Las Vegas. 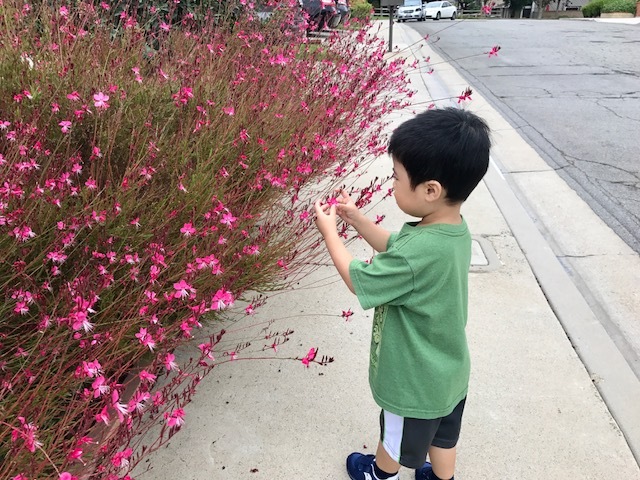 The best moments for us continue to be time spent as a family walking around our neighborhood and chasing our son as he runs around. 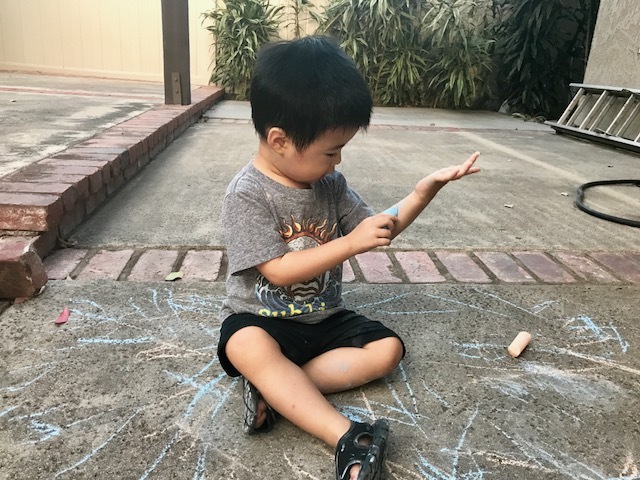 Our son recently discovered chalk. He also recently discovered pill bugs (rollie pollies), and enjoys finding and playing with them. 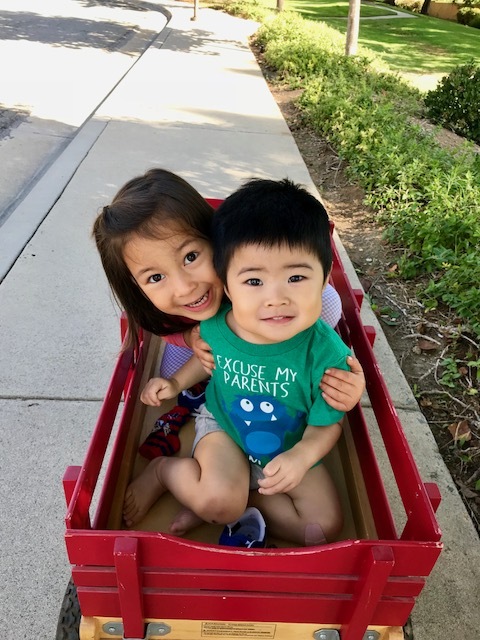 My sister and her family came to visit us for one day and our son got a chance to spend some time with his cousin. Here they are being carted around the neighborhood in a wagon. Now here’s our monthly summary of side income that we have generated in the previous month of September. On 9.20, I received a $2.80 deposit into my Discover Cashback Checking account. I keep this online checking account open since you can earn 10 cents (up to 100 transactions per month) on debit card purchases, bills paid through Discover’s online bill pay service, or checks cleared. While this isn’t a significant amount of money, it’s nice getting 10 cents for paying bills or writing checks. On 9.28, my wife and I both received $15 Gap E-gift cards totaling $30 from a promotion. I received the deal notification from Doctor of Credit, one of the free websites I subscribe to for the best deals on gift cards, credit cards, and bank account bonuses. On 9.14, I received a $150 virtual gift card from Logit Group, a medical survey company. I immediately used it to purchase a $150 Amazon gift card, which will be used towards everyday purchases. On 9.5, I received a check for $18 from M3 Global Research, another medical survey company. No side job income for me this month. I only taught for a few hours at the end of September and the payment should come next month. On 9.5, we received a net profit of $430 from our rental property. On 9.21, I received a $100.25 direct deposit into our checking account from Commission Junction for income generated by the website. On 9.22, I received a $200 direct deposit into our checking account from Bankrate for income generated by the website. 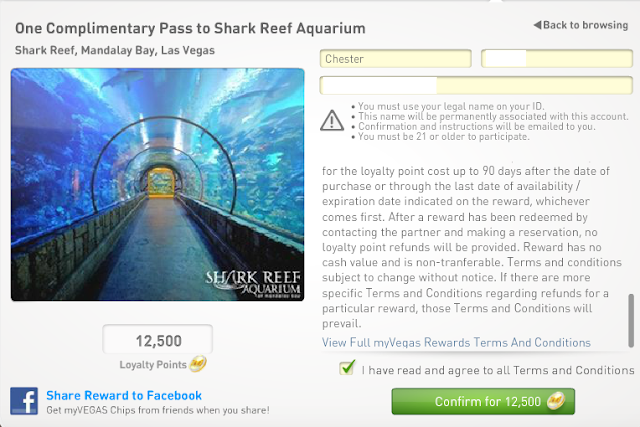 On 9.11, my wife and I each redeemed 12,500 MyVegas points towards free Mandalay Bay Shark Reef Aquarium tickets for our visit to Las Vegas this month. This saved us $50 in admissions tickets ($25 per adult, with our son being free). We had such a wonderful time at the aquarium. All of this totals $981.05 from our side hustles for the month of September. Most of this income was passive, coming in as we spent time having fun. Are you working on any side hustles?